With the spring weather in full force here in the Atlanta area, you’re probably starting to think about your backyard pond or koi pond. After a long winter at rest, you’ve got to wake the pond back up for a beautiful spring. Caring for your pond is something that many people find to be not just work, but also a joy. There’s nothing quite like seeing your backyard pond looking at its most beautiful. Here are a few tips that you can follow this spring to make sure that your pond is at its best for the warmer months. Water replacement can sometimes be a complex process, and it’s generally recommended that you have professional help for this. 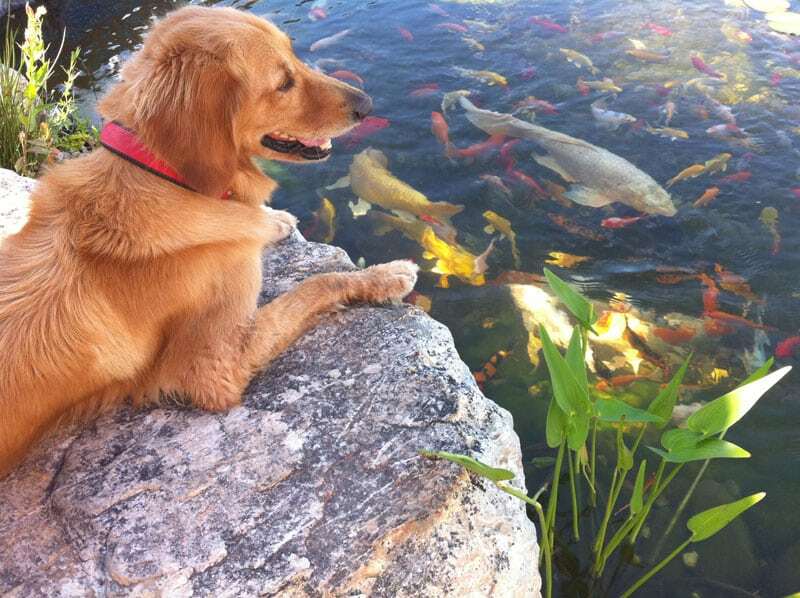 If it’s your first spring with the koi pond, have professionals do the job while you observe closely. During the winter months, a large amount of debris has undoubtedly accumulated. You can use a skimmer to remove the leaves and twigs, and a pond vacuum to remove the algae and sludge from the bottom of the pond. During spring months, you’ll start to feed your koi again. This is best done only after the water is consistently 50 degrees. Once it warms up to 60 degrees, you’ll be able to transition into your normal feeding program. Springtime is the right time to add new plants. Late spring is the ideal time to add new floaters such as water lettuce, for example. You might also want to consider a few bunches of Anacharis, as the can help repel algae growth. Having your pond professionally maintained is important — and it can be especially vital in the spring months. This can be the most challenging time for keeping up your backyard pond, so it’s important to make sure that everything is done right. Universal Aquatics has been helping Atlanta area residents achieve their visions for beautiful ponds for years, and they know exactly what it takes to bring beauty and function together in your pond this spring. The Universal Aquatics team is here to help you keep your pond looking and functioning at its peak this spring. Simply call 404-680-2150 to schedule a pond maintenance service anytime!